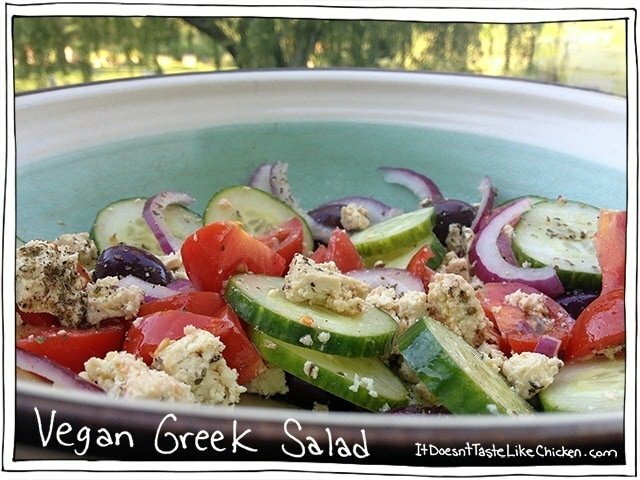 Easy Vegan Greek Salad Recipe with Homemade Tofu Feta! I am not super big into mock foods in the vegan world. Vegan “Chicken”, vegan “turkey slices”, vegan “ground beef”…don’t get me wrong, they can be done really well. 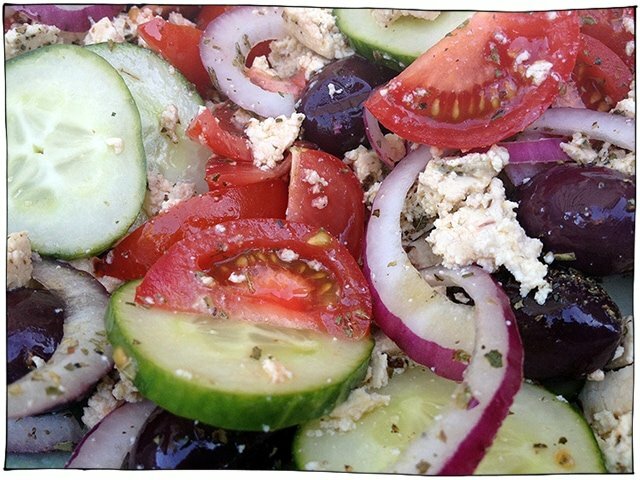 But when I think of a satisfying vegany dinner I dream of mounds of veggies, grains, and legumes in interesting combos and sauces….. drool…..
That being said, when I was craving a greek salad the other day, greek salad, just isn’t greek salad without the feta. So after some research, and some testing (cashew feta was an epic fail). I created this tofu feta. Ok, I get it, you may not be drooling over the idea of a tofu feta. I rarely eat tofu, so I didn’t leap off my seat with excitement either. But it’s good! Surprisingly so. Now, I am continually annoyed when I read a recipe claiming to taste “exactly like the real thing!” and you make it, and it doesn’t taste at all like the real thing. Do you really think I forgot what brie tastes like!? So I’m not going to claim this taste exactly like feta cheese. It does taste pretty darn close tho, and for me, it was a perfect light delicious salad for dinner, two nights in a row… maybe even three. The tofu feta has to be made 24 hours ahead so it can cure. Whip up this tofu the night before (will take like 5 minutes) and stick it in the fridge for tomorrows dinner. First you must press your tofu for about 20 minutes. If you have never done this before, all you do is wrap your block of tofu in a clean kitchen towel, and set something heavy on top of it, to squish the water out. I usually balance a cutting board with a few cans on top. 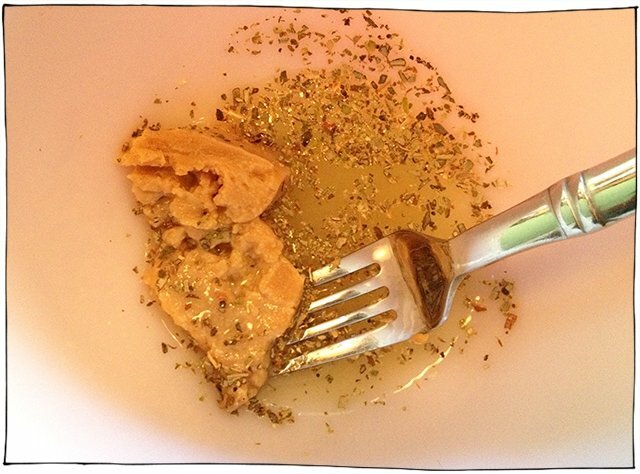 Make the seasoning for the tofu, by combining the miso paste, lemon, water, oregano, and a few pinches of salt. 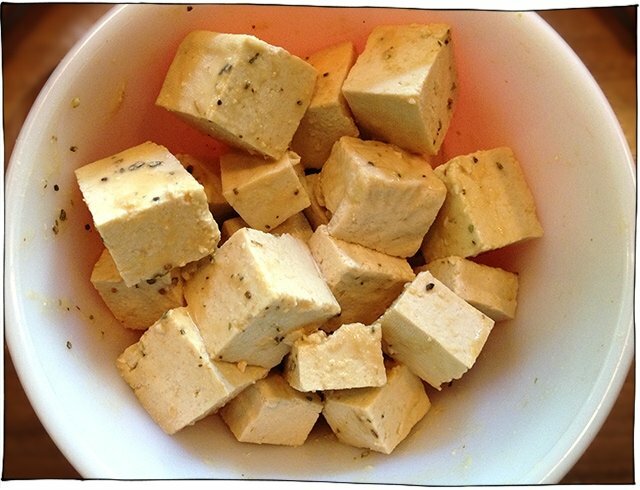 Cut your now pressed tofu into cubes and toss it around in the seasoning. Make sure you have enough to coat all of the pieces. Cover and refrigerate for 24 hours. Letting it cure for the full 24 hours will help it get crumbly. If you just want the flavour 12 might do ya. When its ready, taste your tofu feta. At this point you may want to add a bit more salt. Feta is a salty thing, so to get that flavour, salt is your friend. When you are ready to serve, slice the cucumbers into rounds, the tomatoes into moons, thin slices of red onion and a handful of black olives. Crumble your tofu feta on top. Drizzle with olive oil, sprinkle with a few good pinches of oregano, and season with salt and pepper. Toss, and enjoy. I have red miso can I use that instead. Does it just change the color or the or does it change the taste. Hi Nancy, it will change both the colour and taste but I am sure it will still be tasty. Enjoy! Sam, can you guess, I’ve been exploring the idtlc archives! I had a craving for Greek salad so decided to search my favourite recipe site; and as usual, you didn’t disappoint. I marinated the tofu for about 24 hours, adding a bit more lemon juice (1 lemon total) and some olive oil to the marinade. Since I’m not a cuke fan, I added some cooked fusilli pasta instead. This turned out fantastic!! I have always had a love affair with cheese, in particular feta and provolone, so i honestly didn’t have great expectations when I made the tofu feta. It just couldn’t possibly taste as good as the “real” thing. Well I wasn’t just surprised but I was shocked. it was that good!!! Bless your little heart. Now about the provolone. Haha! That’s great!! So glad I shocked you John 😉 Provolone… ok I will have to work on that one! Wow! I can’t believe how much it tastes just like feta!! yay! thanks Gretty! Glad you enjoyed it! I have been looking for a vegan Feta cheese for so long!! I cant wait to try this!! Holy. Crap. You just made my life. Greek just isn’t Greek without the Feta. 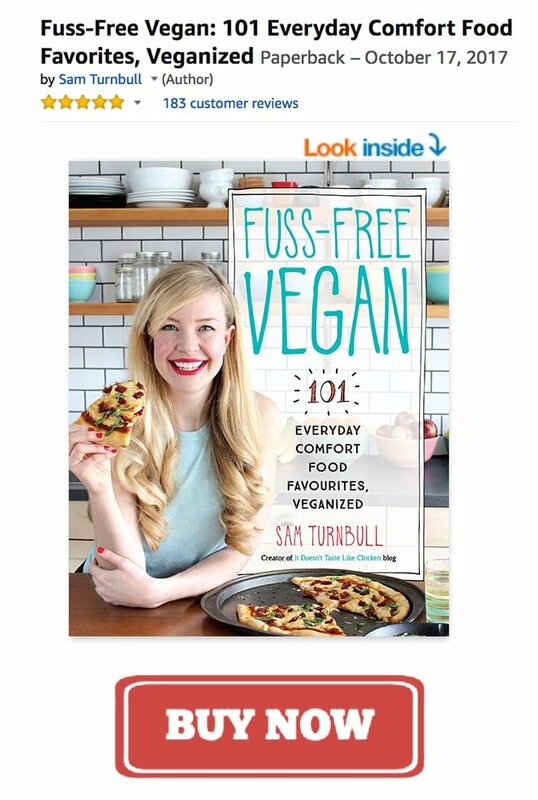 I loved it for so long but totally lost my appetite for cheese as a vegan (you understand). Of course, I missed the salty taste and unique texture so I can’t wait to try this 😀 Thank you, thank you! Yay! I’m so happy I made you so happy! Thanks for the lovely comment!